It was a pleasure to meet you at Agritechnica 2017. On behalf of the entire Black Bruin team, thank you for stopping by! It was great to share the ever-growing interest towards Black Bruin products for tractor-driven trailers and working equipment. 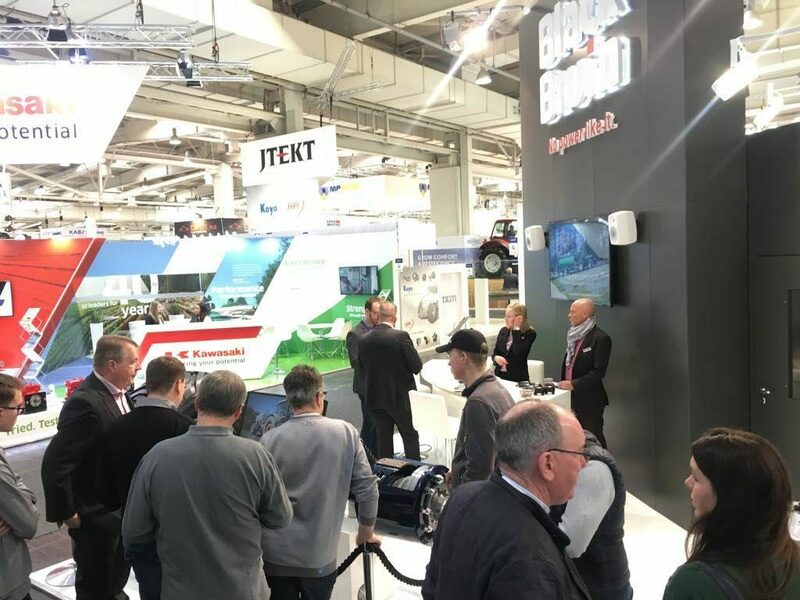 In Agritechnica, our company was exhibiting as Black Bruin Inc. for the first time since the name change in November 2016. To celebrate this new era in our company, we made a short movie: “New Beginning”. The movie, which tells Black Bruin’s corporate history from the 1950’s to modern day, was premiered as a part of Black Bruin product launch event. We introduced Black Bruin On-Demand Drive System and B200 Wheel Motors. 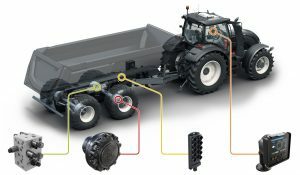 With the new system approach, we can offer our customers a complete transmission solution for tractor-driven trailers and working equipment. If you missed the chance to visit our stand, download exhibition materials by following this link. Black Bruin was well presented at the show, as motors were found all over the exhibition grounds in various applications. One of the show highlights was the world premiere of BPW Agro Drive. This hydraulic driven axle, powered by Black Bruin motors, aroused great interest among visitors on both stands. Annaburger demonstrates the benefits of AGRO Drive with this outstanding video. If you are interested in learning more about how Black Bruin’s products can provide a benefit for you, please do not hesitate to get in contact with a member of our team. For new updates and further information, follow us on social media too.